Our new gluten free, dairy free and vegan oaty bar baked with coconut oil and dark chocolate. 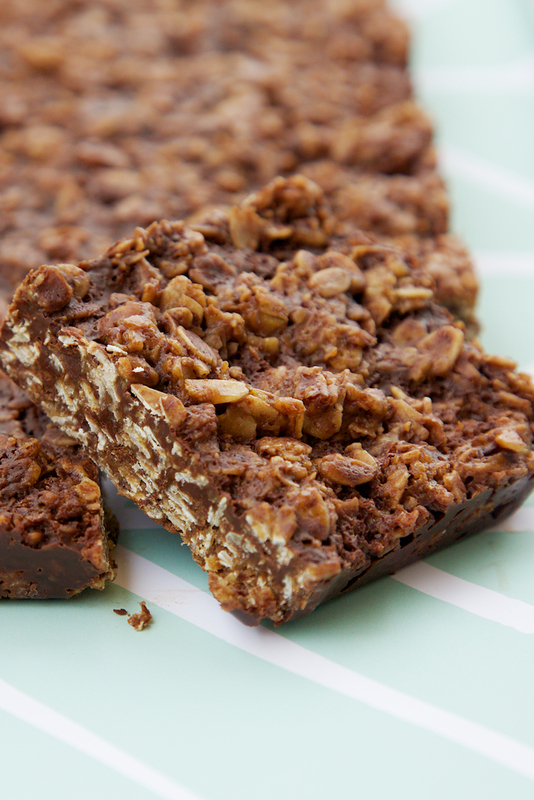 A variation of our gorgeous Oaty Coconut Bar, this slow baked flapjack is made with virgin coconut oil, date syrup and oats, and a premium dairy free dark chocolate sweetened with coconut blossom nectar. Tastes every bit as decadent as its buttery flapjack cousins. This gorgeous treat was awarded a star in the prestigious Great Taste Awards 2018, with the judges commending it on its "good chocolate and coconut flavours". It was shortlisted in the Free From Eating Out Awards 2017. Suitable for vegetarians and vegans. Registered with the Vegan Society. Find our Vegan FAQ's here. Allergen information can be found here. The 56g bars are available to buy in John Lewis cafes along with a selection of our other cakes. Store in a cool place away from direct sunlight. Your order is taken from frozen stock but is completely safe to refreeze on receipt if you wish. You can find more information here on freezing, shelf life and delivery. "This was really yummy," C.G.F. Please check the errors below.